Join Colorado Association of Funders for their Nonprofit Finance Fund Workshop that will focus on equipping funders with the tools and language to assess a nonprofit's financial health in a holistic way on March 20th. Our top ten philanthropy resources from around the sector including lessons learned from youth grantmakers, core principles for high impact philanthropy, evaluation dashboards, and how one foundation uses a word game to gain group clarity on words used regularly in their work. 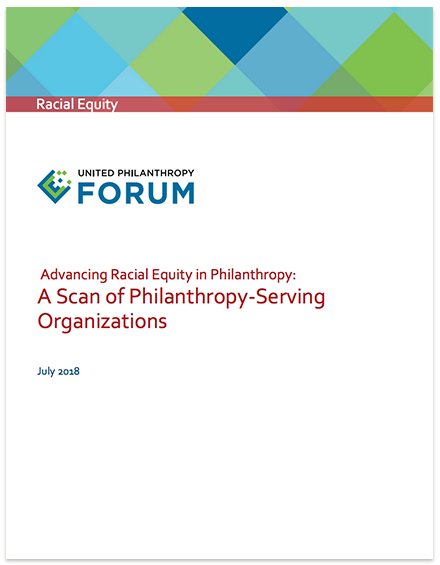 As 2015 came to a close, Connecticut Council for Philanthropy, Florida Philanthropic Network, Philanthropy West Virginia, Philanthropy Ohio, and Colorado Association of Funders released annual giving reports focused on the latest data available in their regions. Compiled responses from a January 7, 2009 listserve query on how membership renewals were going so far at regional associations. 2018 PolicyWorks Institute Session- Census 2020: What’s at Risk and What Can Philanthropy Do Now? Compiled responses from a November 17, 2009 listserve query regarding the distribution of member information through electronic communication. Compiled responses from a January 5, 2010 listserve query regarding intern responsibilities and job descriptions. Compiled responses from a June 2, 2011 listserve query regarding the use of Macs vs. PCs as the primary computers used by regional associations. Compiled responses from an August 2012 listserve query on the sale of membership directories.